JobNews360.com conducting his first giveaway contest. Winner will get Unique code to activate 1 Year pass for unlocking all test & exams in testbook.com. Winner will select based on the activities mentioned below. Winner will announce on 1st May 2019. 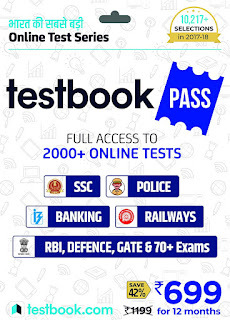 How to enter Testbook.com 1 Year pass giveaway powered by JobNews360.com? If you did all the above steps means then fill the form below.